“Perfect Sense” is the rare film that holds its biggest emotional wallop for when the viewer exits the theatre. It felt profoundly powerful to step out of the auditorium and be bombarded with light, and sound, and the smell of popcorn, and the taste air leaves in the mouth; to be fully cognizant of every sensation and grateful for the wonders they bring, to experience a blinding moment of clarity wherein one comprehends the weight and significance of the biological processes we spend our days taking for granted. There is a great magic to life, a magic we only experience because of the gifts our bodies grant, and “Perfect Sense” highlights this by asking the question: if our bodies stopped giving, would there be such grace in life? 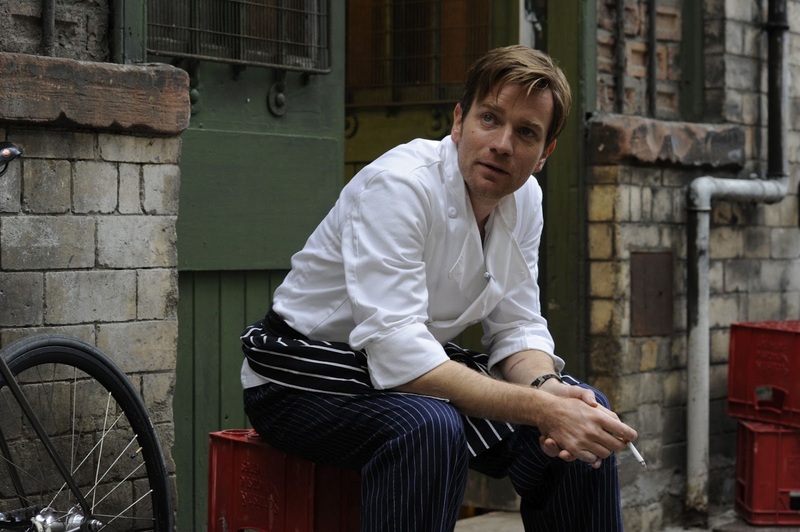 Eva Green in "Perfect Sense"
The couple is Michael (Ewan McGregor) and Susan (Eva Green); he is a gourmet chef, and must reinvent his restaurant with each sensory loss, while she is a doctor, struggling with the increasing futility of her profession as humanity’s senses go dry. They cope with the loss of sense by retreating further and further into the embrace of the other’s body, their love keeping them sane and grounded as life continue to change. McGregor and Green are absolutely fantastic; their careers have both been marked by a startling capacity for engaging, nuanced naturalism, skills put to good use here. 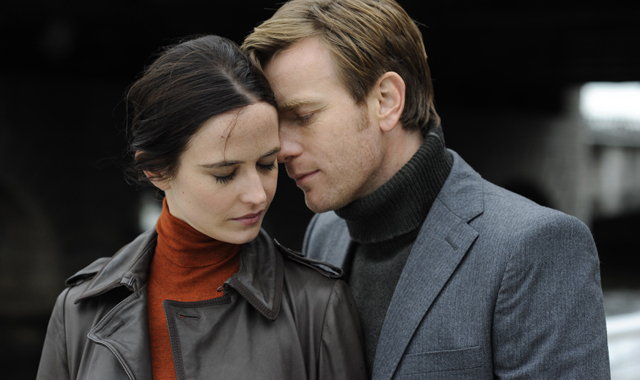 Their chemistry is the heart of the movie, and their relationship develops along an organic, thoughtful path. The best apocalyptic stories are the ones rooted in basic personal drama, for we cannot understand how the human condition is affected without palpable human touchstones. Ewan McGregor in "Perfect Sense"
Around Michael and Susan, Mackenzie inhabits this changing world with a remarkable level of detail, creatively – and often ingeniously – imagining how every step of sensory loss would realistically play out on a societal scale. Smell is crucial to taste sensitivity, so when costumers lose this sense, Michael’s restaurant cooks spicier, stronger foods to compensate. When people can no longer taste, the nature of food changes, with texture and necessity becoming paramount. After hearing disappears, the government begins quarantining the deaf, and there is a fascinating depth of procedure to their actions. Mackenzie has thought of nearly every contingency pertinent to the action, creating a realistic, three-dimensional crisis that is incredibly scary to watch. Yet it isn’t all grim; the film’s strength lies in Mackenzie’s ability to find beauty, solace, and grace in the way humanity adapts, and though Susan’s philosophical narration can get heavy-handed at times, the experience is never anything less than meaningful. It helps that Mackenzie is wholly in-tune to the visual power of film; the cinematography is splendid, taking on an extra level of compositional complexity and graphic significance once humanity goes deaf. Max Richter’s gorgeous score is a tad overbearing early on, but once the story earns the emotions of the music, that problem disappears. “Perfect Sense” is a wonderful experience, but as I said before, its most powerful moments come after the viewer departs the theatre. It is increasingly rare that a film changes how one views the world, especially these days (see my review of “The Lorax,” for instance), but few viewers will walk away from “Perfect Sense” with anything less than an intense appreciation of how our bodies allow us to revel in the wonders of the world. "Perfect Sense" is now playing at the Denver Film Center//Colfax, and is also available through OnDemand services like Xfinity, iTunes, and Amazon; as always, I would recommend experiencing it theatrically.